4th 40 in a month for Chris. Chris Purssey is on a flier. 4 40s and a load of back up fish in a month. Simple rigs put in the right place. Top work Chris! Leave some for the rest of us! Our Maggot Clusters are an amazing cold water bait but forgotten about in the warmer months. 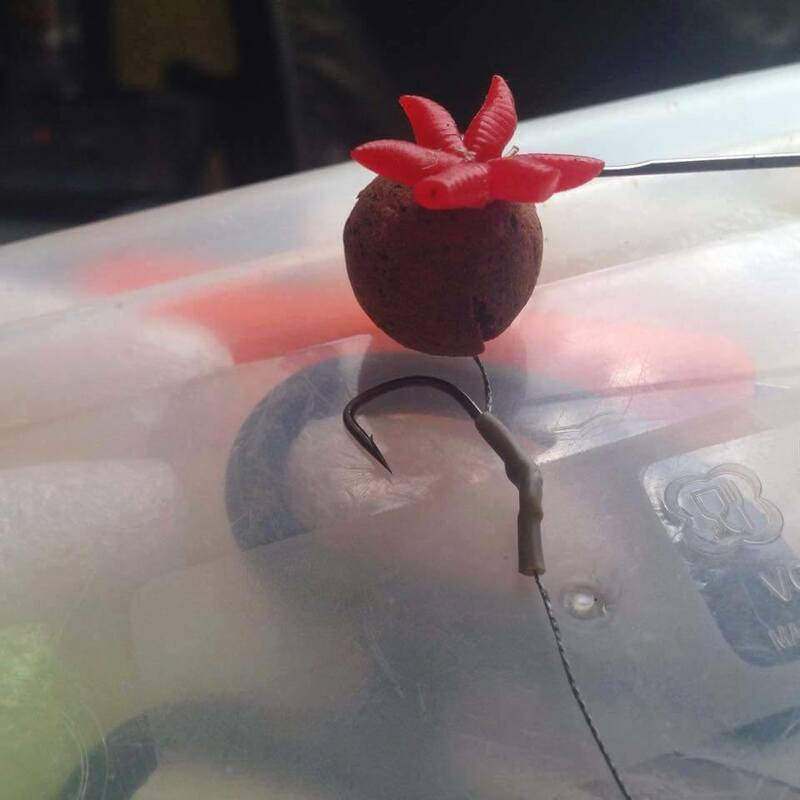 Tipping boilies and pop ups with them breaks up the outline of the bait and adds a bit of buoyancy. Because of the irregular shape, they cause the bait to spin and twist in the carps mouth. 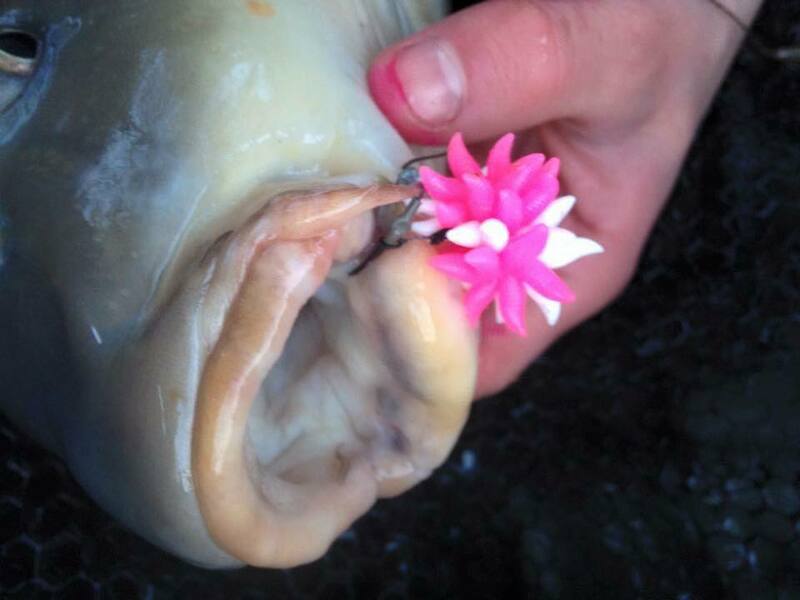 This adds to the hooking potential of your rig. Give them a try and trust in the Maggot! I’m very lucky to have a beautiful lake on my way home. This evening I stopped in on my way back from the office for an hour or so of stalking. I did my usual walk round priming a few spots but couldn’t find the carp in the normal places. 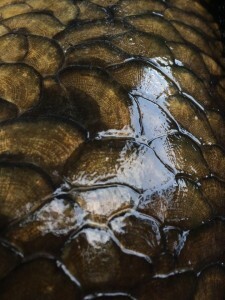 There was a cool wind that had pushed the carp into the middle. 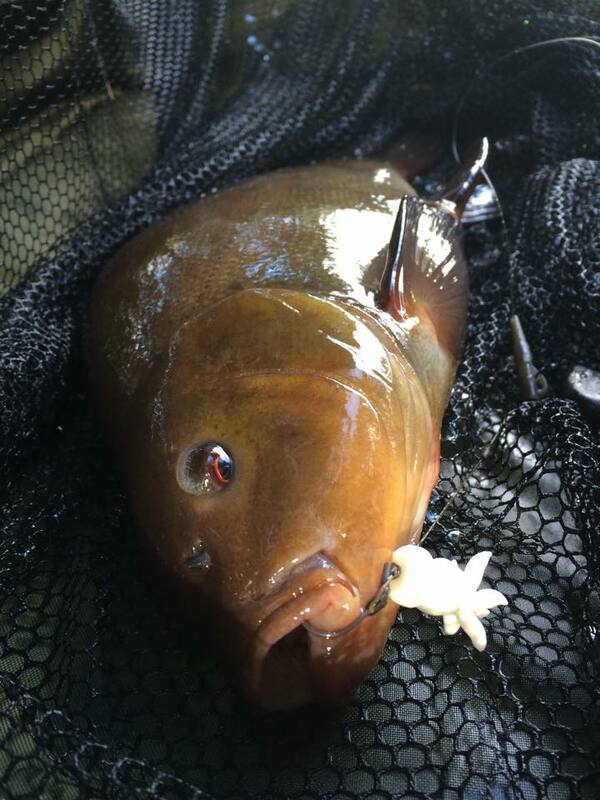 I didn’t have my alarms with me and nothing to bait up with so I decided to go for the tench. Id found them up the quieter top end fizzing up by the pads. In went a couple of handfuls of Vortex pellet and I went back to my car to get my gear. By the time I got back, the water had turned that lovely chocolaty brown… They were on it! 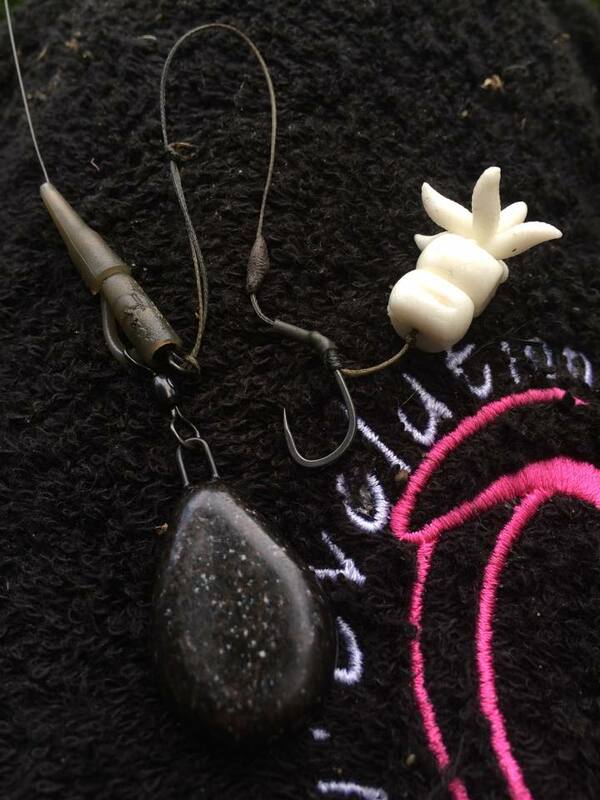 The rig I kept the same, short braided hook link with a size 6 SSBP, but I dropped the lead down to a 1.5oz. What to put on the hair? A Corn Stack cut down to 2 bits and a Maggot Cluster as the stop. Quick dip in some hemp oil and I lowered it into the jacuzzi. I didn’t have time to sink the line before the first little tinker was hooked. 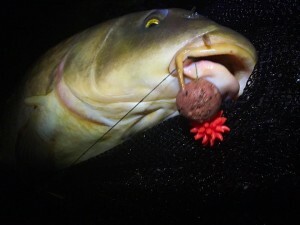 Id forgotten how hard these red eyes pull! In and out of the pads, under branches and almost around the platform I was sat on. Safely netted, photographed and returned in no time. This cycle when on and on. The same hook, bait and only a scattering of pellet had kept the fish coming for an hour. Sometimes a change of target does ya good. This afternoon I stopped at one of my local waters for a quick stalk. I had cut all my gear down to just a rod, net, mat and a small tackle box. 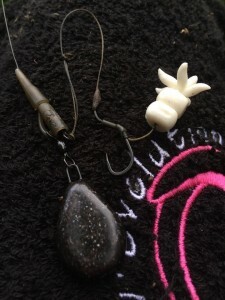 I had planned to drop a drilled out Sticky Baits Krill boilie with a Maggot Plug next to some pads… I had cut my gear down so much I had forgotten my drill. Joy. Never fear! 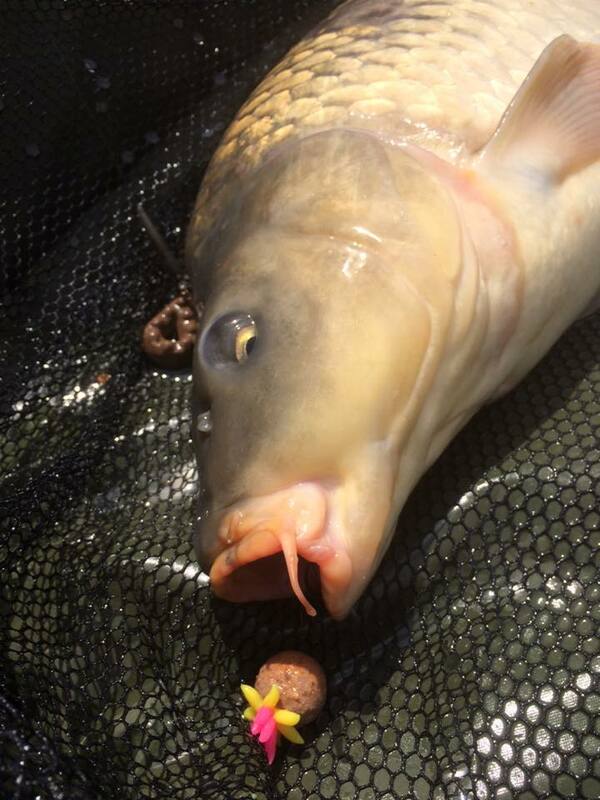 Half a boilie with a cut down Green Maggot Plug to the rescue. 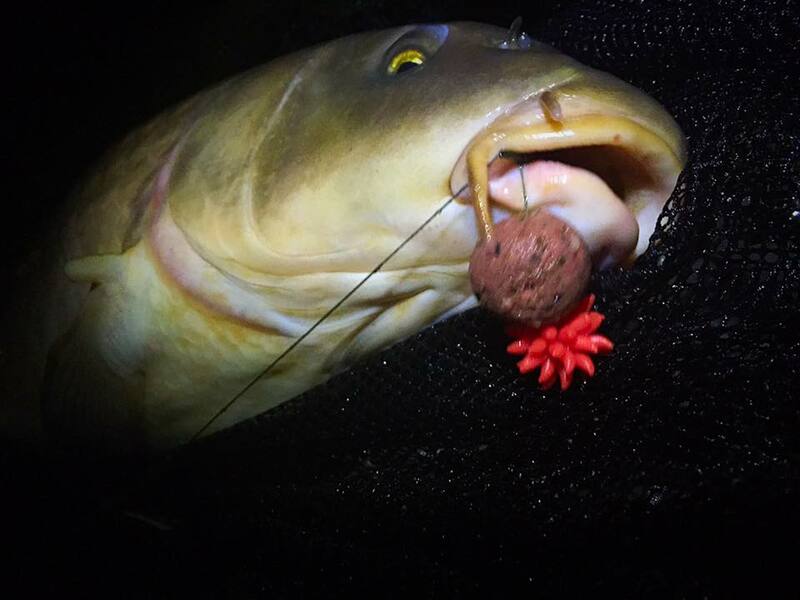 Fluoro main line down to a lead clip set to drop the 4oz lead on the take, nice short heavy supple braided hook link and a size 6 hook. Winner! I could see the green Maggot Plug wafting gently. The first fish to find it got nailed. Boom! 18Lb common in the net! 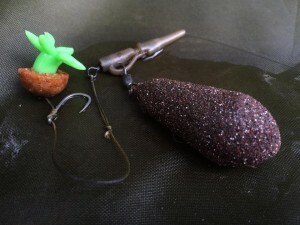 The green baits often get overlooked by anglers. Im not sure why… I love a green wafter! Danny wont be the last Champion on the team! Danny Champion becomes our first official Promo Team Member. 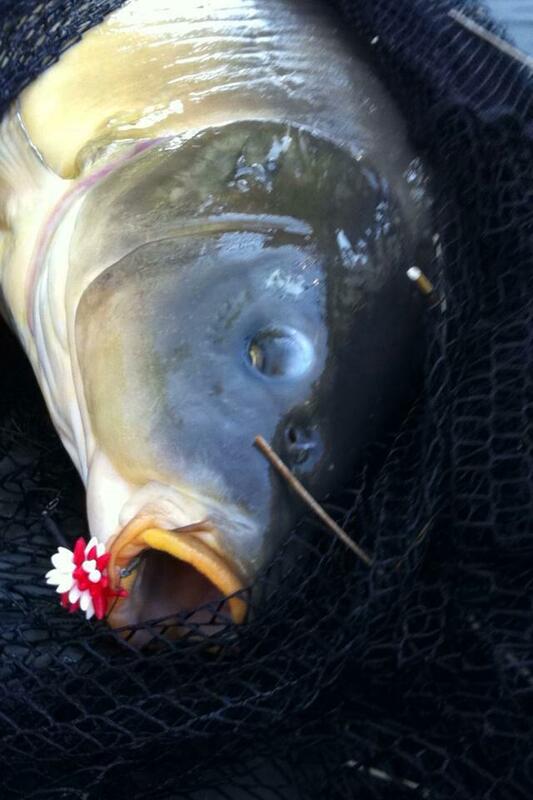 When we get emails from Danny we always know there are going to be some great fish pictures. 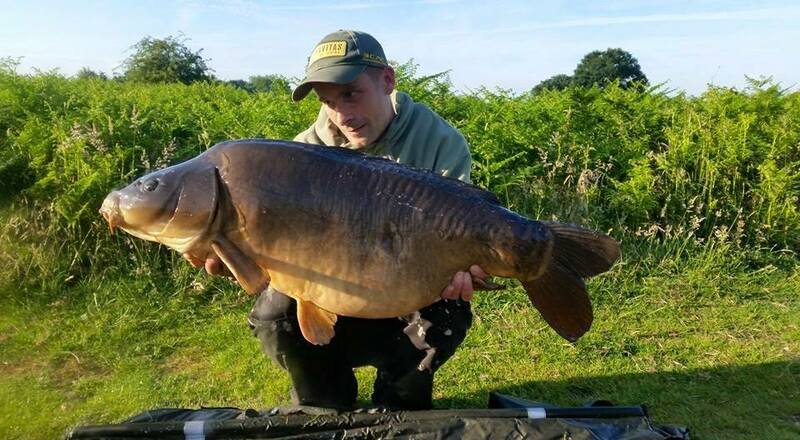 He gets all over the place from intimate little syndicate waters to the European lakes like Abbey. Hes got a busy few months ahead of him so keep ’em peeled for updates on his fishing. Check out our TEAM page here.